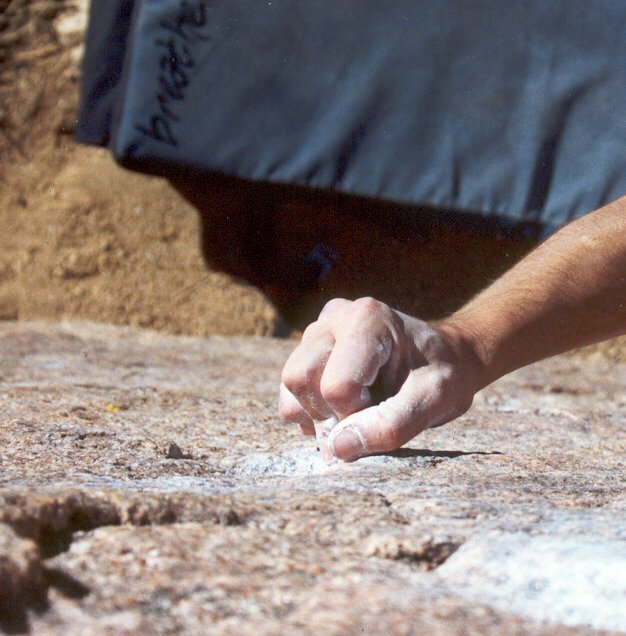 Home to thousands of boulders, most of which are house-sized and larger, and boasting problems ranging from VB to v13, this area hosts high quality granite with patina flakes polished to a glossy shine, slopers with a gritty bite, and enough beautiful rock to please even the most aesthetically-sensitive climber out there. Technical footwork, long reaches, and contact strength rule this area. Property of Chris Morrison 2002.